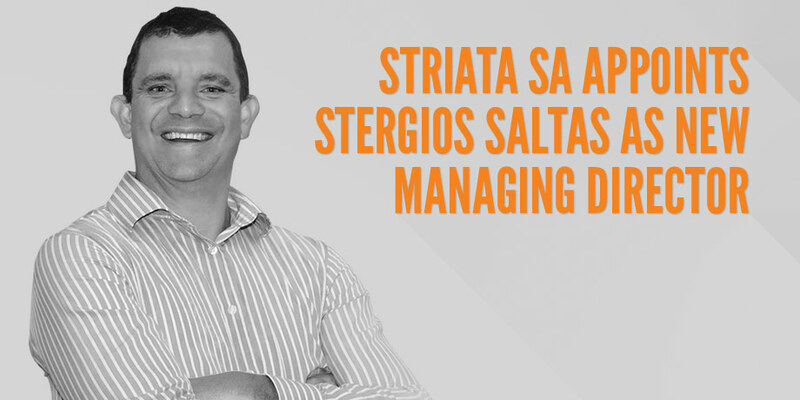 Striata SA announced today that Director of Operations, Stergios Saltas will assume the role of Managing Director for the Africa region effective 01 May. Saltas joined Striata in 2002 and has headed up Operations for eight years. As part of his appointment, Saltas will also sit on Striata’s Global Executive Committee (Exco) – the team that makes strategic decisions on behalf of the global business. Treadaway will continue as a director of both the local and global businesses, focusing primarily on strategy and talent management.